"The Lady in Red Converses with Diablo" to be in Prague Design Quadrennial! 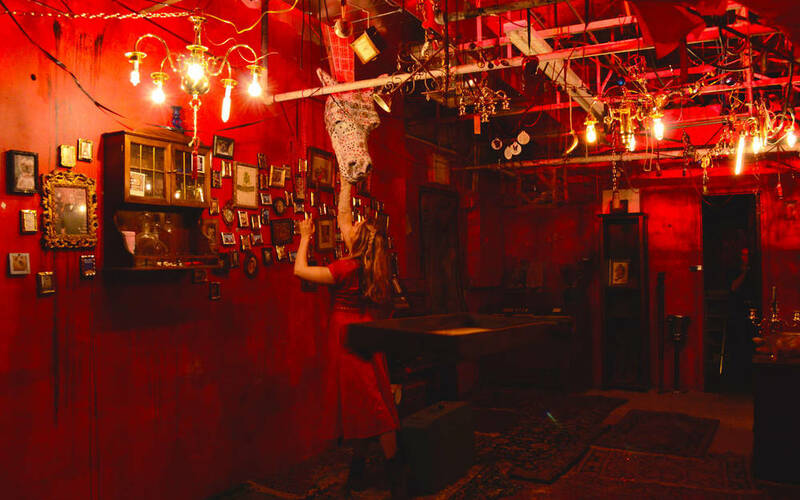 Set design by Bryce Cutler for "The Lady in Red Converses with Diablo" was selected to represent the United States at the Prague Design Quadrennial in 2015! "Lost in the dozen rooms, transported by projection and light, stunningly intricate stage design, you are guided by the live score provided by Rabbit in the Rye and the searching eyes of the actors themselves. The journey through the world of the lady in red becomes an internal and self-reflective journey..."